Dr. Eddie Gibbons is a professor in The LSU School of Leadership & Human Resource Development, and Flores MBA Program where he works to mold the next generation of creative business thinkers. He also works part-time as a turnaround executive and executive coach, helping struggling organizations get back on track and high-performing employees maximize their abilities. 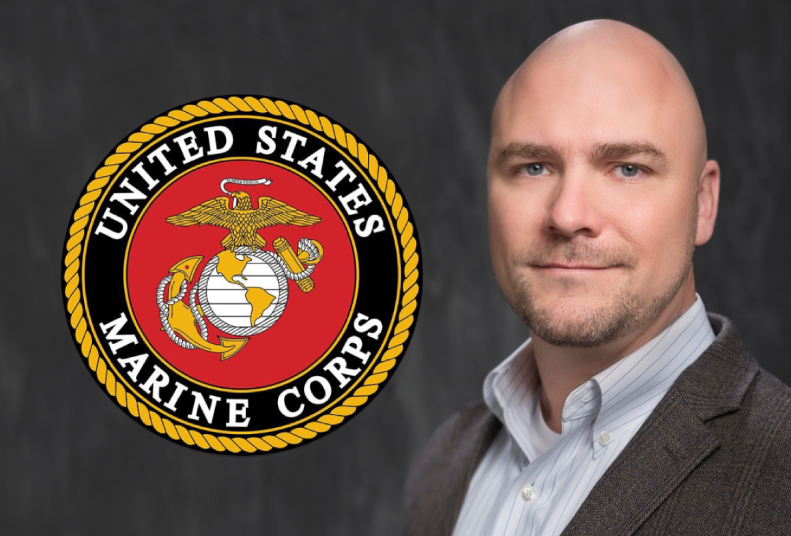 His career in the private sector was in part driven by his six years in the U.S. Marine Corps, an experience that impressed upon him the power of hard work and personal responsibility. Gibbons grew up in New Orleans as part of an economically disadvantaged family. When it came time to decide a path after high school, Gibbons found himself drawn to the structure and experience the military offered. He was particularly attracted to the notion of the Marine Corps as a place for tough and honorable people. “I absolutely wanted to be a part of that,” he says. Gibbons never saw combat during his service (although friends and colleagues in his unit later served in Iraq and are memorialized in the The Eyes of Freedom: Lima Company 3/25 Memorial). He did, however, learn the power of discipline and that he could push far past what he thought were his physical and mental limitations. With job prospects slim, Gibbons applied to and was accepted at The Ohio State University, where he earned a bachelor’s degree in construction systems management in 2005. Without an internship or sufficient networking though, he once again found job prospects a challenge. But relying on the toughness and tenacity he picked up in the Marine Corps, Gibbons persevered, taking a sales job before eventually landing a project management position in the residential construction industry, a job he held for eight years with two different companies. Gibbons attended graduate school during the final years of work in the construction industry and completed an MBA from Tulane University in 2011. Soon after, he decided he wanted to become a professor and consultant and once again returned to school, this time, at LSU, graduating in 2016 with a Master of Science and Ph.D. in Leadership and Human Resource Development. His current research focuses on the influence of selected demographic and perceptual factors on the extent of strategic planning in small businesses. Gibbons has taught a range of college courses including organizational theory, operations management, process improvement, strategic planning, international business, entrepreneurship, human resource development and leadership. But he always knew he wanted continue work outside the classroom. As a consultant with Success Labs, Gibbons has collaborated with numerous Fortune 500 & 1000 companies, successfully developing their management teams and high-potential talent. For his most recent consulting assignment, he served as the President and COO to a Baton Rouge-based firm specializing in electrical equipment distribution, successfully helping the struggling organization bounce back and prosper. Currently he is serving as an interim COO to a Mississippi based start-up, organic pesticide manufacturer. “I’m attracted to that work because it keeps me sharp. We should never stop learning,” he says. He says his work at LSU, like his service in the Marine Corps before, gives him a sense of purpose. “I’m part of something bigger than myself. I have found a home again,” he says.